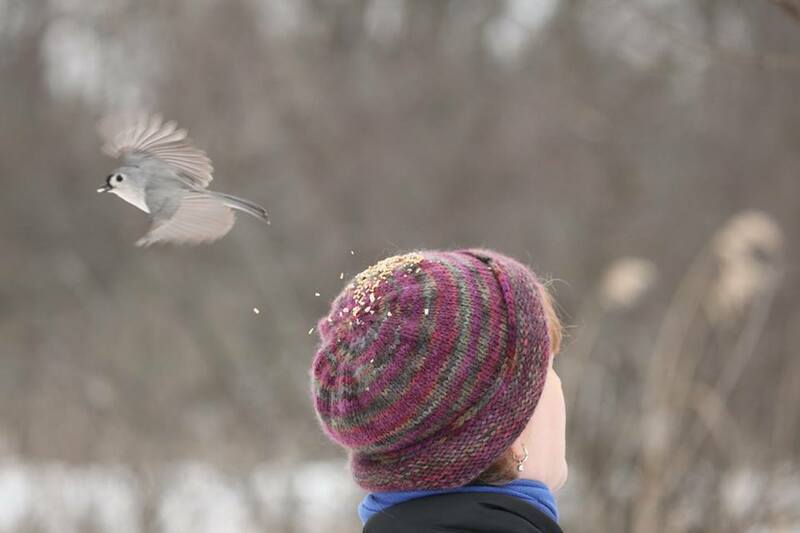 On Friday we finally–FINALLY–had temperatures above freezing, so I decided to take advantage of the heat wave and go try my hand at hand-feeding the birds at Kensington Metropark. This park is well-known around here for its brave feeder birds, but since it’s all the way on the other side of the metro area, 45 miles from me, I’ve never made the trek over there. But thanks to a bad case of cabin fever, my desperation drove me to jump in the car and head over. I texted my friend Janet and suggested she meet me there and I’m so glad she was able to come, because we spent a very enjoyable 90 minutes taking pictures of each other with birds on our heads and in our hands. 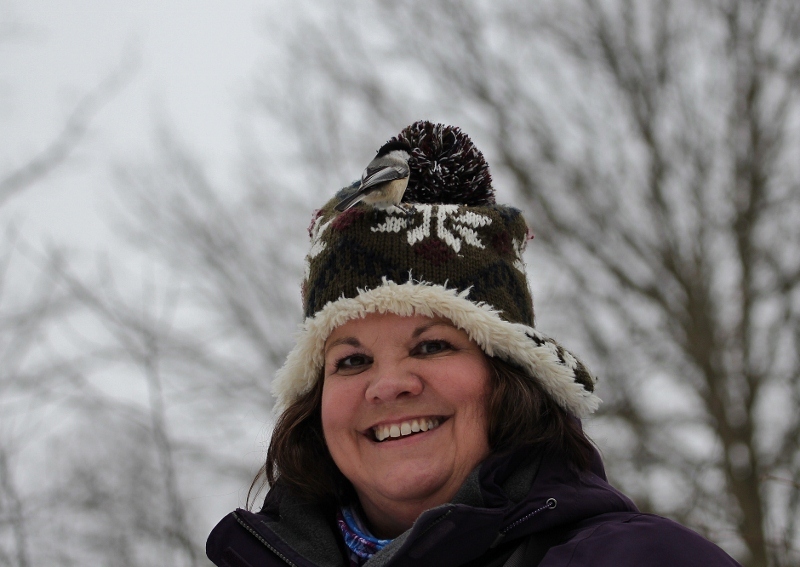 I’m still amazed at the thrill I got the moment the first chickadee landed on my bare hand. Its sharp little claws gripped the tips of my fingers, it looked up at my face as if to make sure it was safe, then grabbed a seed and flew to a nearby tree to crack it open. In the next 15 minutes dozens of birds came down and took seeds from my outstretched hand. At one point I had three birds on my hand at once, so I decided to put some more seed on my head so they could spread out a little bit. 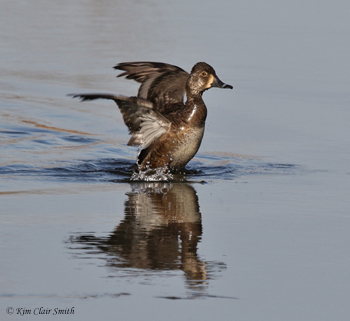 Immediately I felt them landing on top of my hat, their wings stirring the air beside my head as they landed and took off again with their bounty. I already knew that birds weighed very little, but if I hadn’t felt the claws of those chickadees on my fingers, I wouldn’t even have known they were there. It gives the phrase “light as a feather” a whole new meaning for me. What precious little creatures they are! A chickadee weighs less than a half ounce. That’s less than 14 paper clips, or a half of a slice of bread. Heck, you could afford to mail two chickadees for a first class postage stamp (not that I’m suggesting you do that, of course). Hey Janet, what’s that on your head? 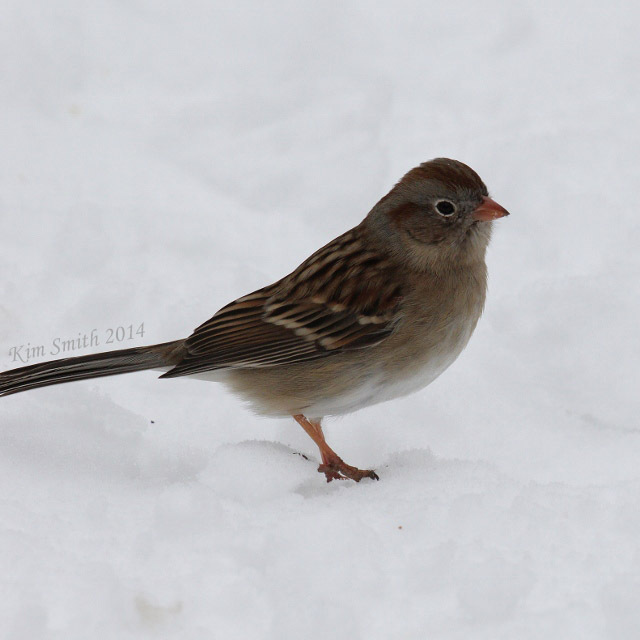 Along with the birds eating from our hands, we were lucky enough to see a Field Sparrow that has been hanging around there, very unusual for this time of year. We also saw a Song Sparrow, lots of Blue Jays, Cardinals, and Red-bellied Woodpeckers, and even some Wild Turkeys trotting along the snowy path through the woods. And this is funny: Just before we got in our cars to leave, I’d mentioned my recent sightings of a Pileated Woodpecker in my yard, and said how I wished I could predict its visits so I could share it with our friend Dr. Bob, who is very eager to see one of those large woodpeckers. We said our goodbyes and I left as Janet was loading her camera gear into her car. If I’d only stayed a bit longer I would have seen the Pileated Woodpecker that flew right over her head in the parking lot, can you believe that? I am so grateful to have had this amazing experience. It was exhilarating, but at the same time it also gave me such a sense of peace. And I really really really needed that. Now I’m feeling better about making it through this difficult winter. But I wouldn’t be surprised if I need another dose of ecotherapy at Kensington Metropark in the very near future. 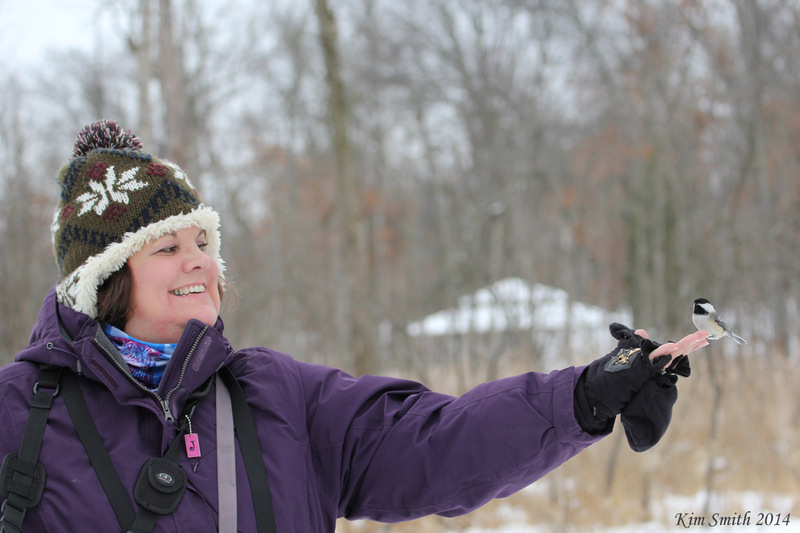 This entry was posted in Birdfeeding, Birds, Ecotherapy, Happiness and Gratitude and tagged ecotherapy, hand-feeding birds, Kensington Metropark, Michigan, Winter birding. Bookmark the permalink. I’m hoping to go out to Kensington soon, after seeing a friend’s pictures from feeding birds there. Looks like a wonderful experience! Did you bring your own birdseed with you to feed them with? Yes, Corrie, you need to take seed with you. Have fun! I wish everyone could have that experience, Robyn. It was life-changing! Kim – I read this and really enjoyed that you were with Janet to experience this for the first time! 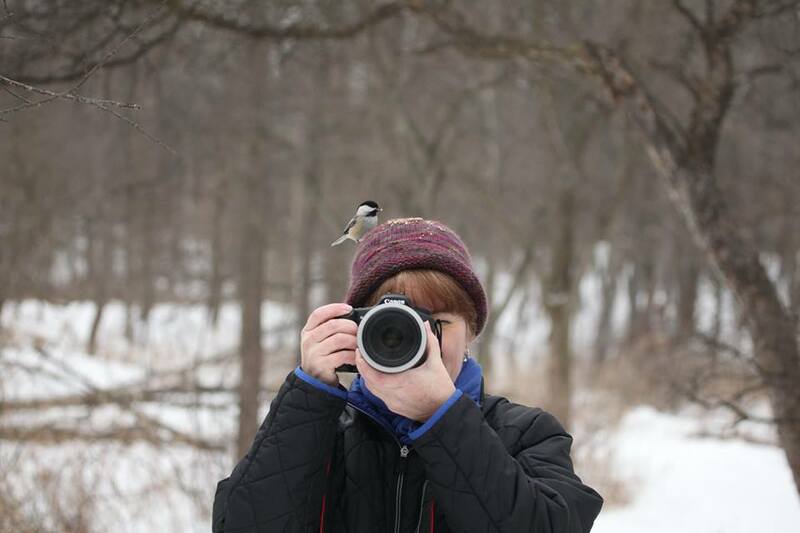 You are both my favorite birding gals not only because you are both great photographers and birders, but also because you both FEEL Nature! I wanted to put a ref to a prior blog of mine about how it felt to me for the first time and was amazed I had not posted any blog on the Kensington hand-feeding trips since 2009! Anyway, here is the blog ref – t will help put in context my comments to you on FB. Yes, we really do feel nature, Dr. B, you’re right. I enjoyed your blog post. It seems this experience of hand-feeding wild birds touches everyone very deeply! Thanks, Lauren! I wish everyone could have this experience…we all need a closer connection with nature, IMHO. Those first two pictures of you are awesome! I’m so glad you got to experience having the birds eat out of your hand. 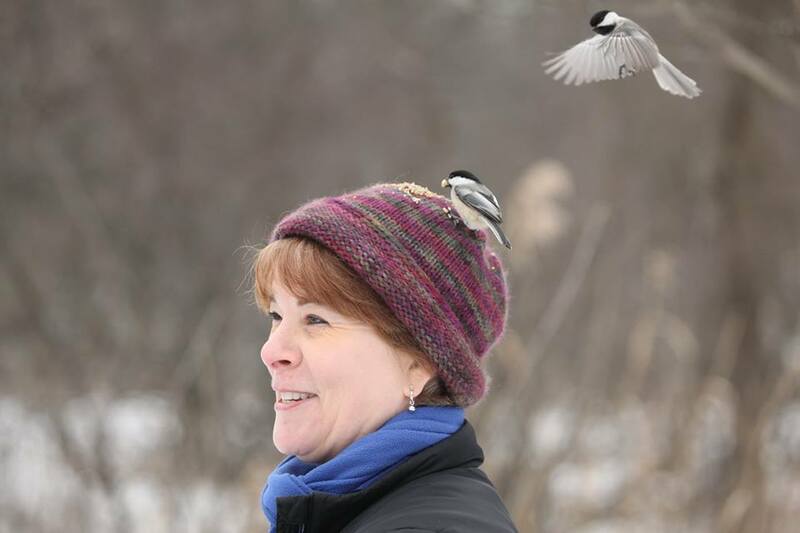 I’ve had chickadees eat out of my hand at a bird sanctuary and it is an amazing feeling. You have described it perfectly. I’m quite amazed you got a Downy Woodpecker to eat from your hand though! I know, Kristie, I couldn’t believe it when I saw the woodpecker land on my gloved hand. Actually, I’m glad I’d put my gloves back on at that point because those claws might have hurt a little bit! Wow Kim! How exciting was that experience?? I think I would like to try this with the Goldfinches here. They seem the least afraid of me, of all of the birds. Mr. Mockingbird doesn’t mind my presence either. Your photographs are amazing, I love the soft colors and blurred backgrounds. This is simply a beautiful and delightful post! Thanks for sharing with all of us! I’ll be interested to see if you can get them to come to you, Lori. There were plenty of goldfinches at this park, but I didn’t see any of them coming to people’s hands (or heads, for that matter!). Amazing. I’m going to try the birdseed on the hat trick in my backyard to see if it works here. Gail, I’ve been told that you need to remove all other bird feeders around you so the birds will be more likely to come to “your” food source. But it also takes a LOT of patience. Good luck!